Let’s face it. We’ve all, at one point or another, daydreamed about being a spy. From the heart-pounding missions to the suspense of staying hidden in plain sight, there’s just something so exciting about the mystery, thrills, and risks of living undercover. Then again, there’s a lot of danger involved in taking on a new identity — what happens if you’re found out or if you grow attached to those you’re meant to infiltrate? For now, we’ll just leave the covert missions to the professionals, such as these eight fearless ladies who managed to keep their cool while keeping everything under wraps. Sarah, a fifteen-year-old Jewish girl living in constant peril in Holocaust-era Germany, is approached by a mysterious man after her mother is shot at a Nazi checkpoint. Not soon after, Sarah receives her first mission as the newest recruit of a secret resistance against the Third Reich: to go undercover as the daughter of a Nazi official at an elite school. Sarah is forced to confront her greatest enemy and her greatest fear as she attempts to befriend the daughter of a scientist who is designing bombs that threaten every city in Western Europe. Dauntless and empowered by a desire to stop the fiercest evil in history, Sarah is not to be underestimated. We can’t believe it’s been eighteen (!!!) years since the release of the funny, heartfelt, totally badass action-comedy Miss Congeniality. Sandra Bullock plays Gracie Hart, a Special Agent for the F.B.I. who goes undercover as a Miss United States contestant. Posing as Miss New Jersey, Gracie must locate and diffuse a bomb threat that is set to take place at the beauty pageant, protecting all of the competitors and audience members. The one hurdle? Grace is a total tomboy who shudders at the phrase “lady-like”. Much of the Star Wars saga is told from the point of view of the Rebellion, the “good guys” we are meant to root for. In Christie Golden’s Inferno Squad (a companion to last year’s much-hyped console game Star Wars Battlefront II) however, the story unfolds from the perspective of the Inferno Squad, a team of elite Imperial soldiers set to infiltrate an extremist faction of partisans known as the Dreamers. Iden Versio, an unparalleled soldier and daughter of a highly feared and ruthless admiral, and Seyn Marana, a master sharpshooter and cryptologist, are two members of the Squad. These two women, relentlessly committed to their cause, are forced to confront the dangerous realities of going undercover — from growing sentimentality towards the “enemy” to the near impossible task of keeping up appearances. Legend‘s June Iparis is a teenage prodigy. Born to elite parents in the wealthiest part of the Republic, she is groomed for military excellence and leadership from a very young age. But when her brother is murdered, June vows to find his killer and bring them to justice — no matter what danger may loom. Undercover in the slums and streets of the Republic, June finds far more than what she bargained for when she meets Day, the top suspect and the nation’s most wanted. Together, June and Day begin to uncover the insidious lies of their government and set out on a course for revolution. While you may know Margaret “Peggy” Carter from her time working alongside Captain America, she’s very much a hero in her own right. A member of the Strategic Scientific Reserve in the years during and after WWII, Peggy has to be quick-thinking and fierce to survive each assignment. The real danger comes along with Peggy’s clandestine side-job — helping the framed Howard Stark locate and dispose of stolen weaponry before it can be used against American citizens. She goes undercover quite a few times in the series – from a health inspector to an old Hollywood blonde bombshell – and fully commits to each role, putting her life at risk for the sake of her nation and her mission. Flame in the Mist’s Mariko is a brilliant alchemist held back by her gender. Though she is cunning and well-trained by her samurai father, she is routinely underestimated and valued only for the political benefits she can bring to her family by marrying Minamoto Raiden, the son of the emperor’s favorite consort. She barely survives an attack on her life as she travels to the palace for her upcoming wedding and is forced to go undercover as a peasant boy to escape death and find her assassins. Mariko then sets out to infiltrate this sinister gang of bandits, known only as Black Clan, and find those responsible for the ambush. Unlike most of the other ladies on this list, not every master of disguise uses her skills for good. In this spin-off of the classic Ocean’s series, a new all-female team of con artists set out on a jewel heist. The one catch? The necklace they have their eyes on is not only located at one of the globe’s most highly-spectated galas — it’s around the neck of the one of the biggest celebrities in the world. Each of the eight criminal masterminds must go undercover at the event and use their individual set of skills to achieve this goal — without getting caught. What could possibly be more undercover than an alter-ego? 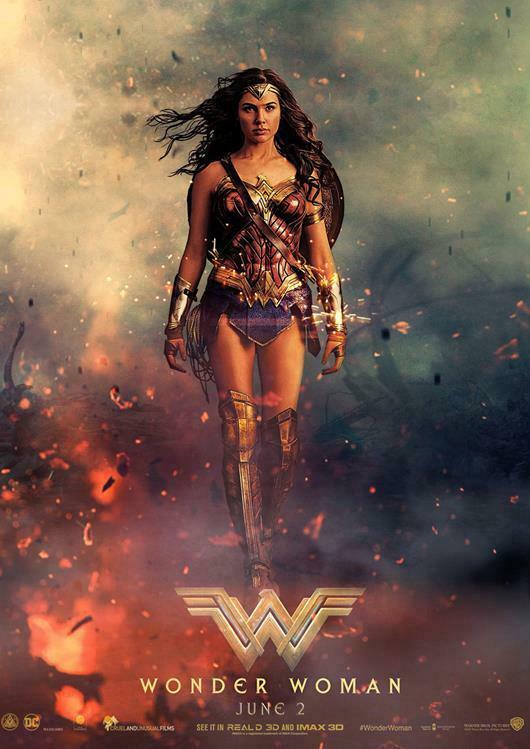 Diana is Princess of Themyscira, an island nation entirely populated by a race of warrior women known as the Amazons. When she hears of war in the outside world, the heroic, warrior-trained Diana forsakes all she knows to leave her home and stop Ares, the God of War, from threatening innocent lives. When she arrives in Europe, however, Diana finds her armor, tiara, and enormous broadsword draw far too much attention. She takes the guise of a secretary, with horn-rimmed glasses and a wide-brimmed hat, to fit in with the hordes of women around her. As the years go on, Diana shifts her disguise to better suit the modern era, posing as an antiquities dealer at the Louvre. Craving more female-led, action-packed reads? Check out our list of 10 Fierce Ladies Who Prove that Women are the Ultimate Warriors.